Happy Friday everyone. I hope that you all had a good week. It's been a difficult week for our country to say the least. Monday's tragedy in Boston was absolutely horrific, but there were so many heroic acts performed by the runners, volunteers, and bystanders that demonstrated the strength and resilience of the human spirit. I'm still processing the senseless catastrophe, so I don't have too many thoughts to share, but this week's favorites feature many internet finds that relate to Monday's event. 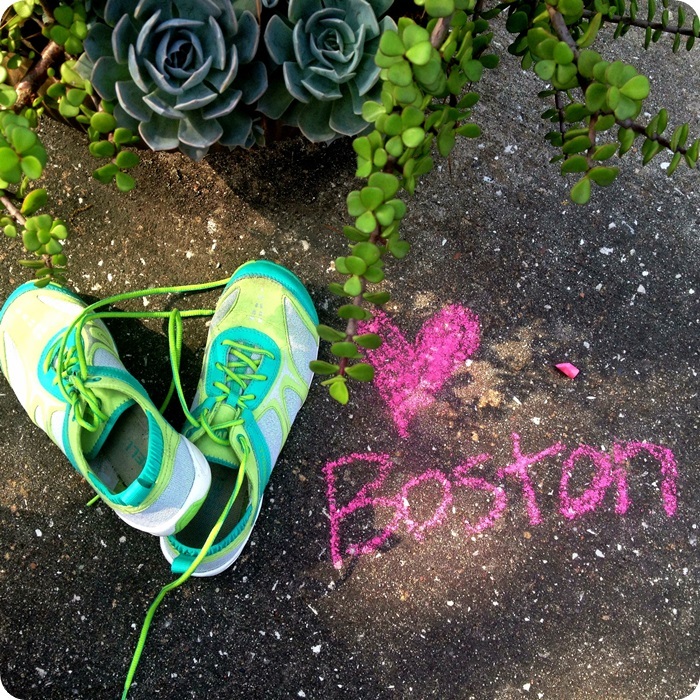 Favorite image: We Heart Boston. I told you on Sunday that I couldn't get in a long run because my knee was bothering me, but after hearing about the Boston Marathon, I told myself that if they could get through Monday's event then I could get through a run on the treadmill. I ran a little over 8 miles while watching coverage and it really was the easiest run of my life. Favorite indulgence: Salt & Vinegar Topped Chocolate Cake. 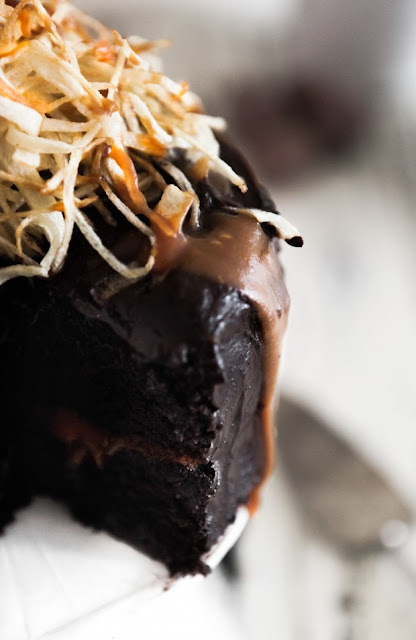 Sweet and salty isn't a novel idea, but this certainly is. Oh, this looks so good. 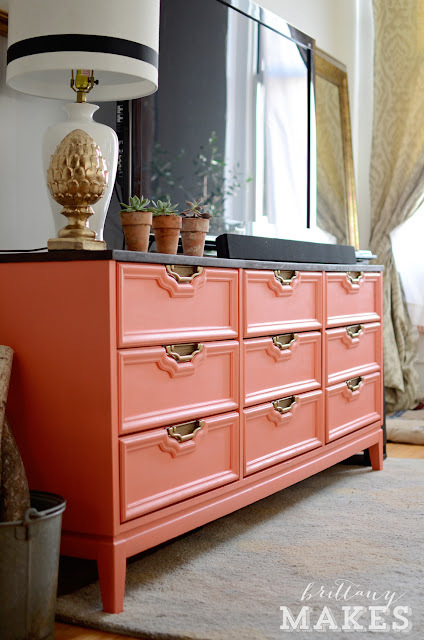 Favorite DIY: Dresser Makeover. You should really click on this link to see how the dresser looked before. The blogosphere has introduced me to so many talented and creative people. Favorite meal: Smothered Sweet Potato Fries. Yep, yep, yep. This is definitely happening in my kitchen soon. 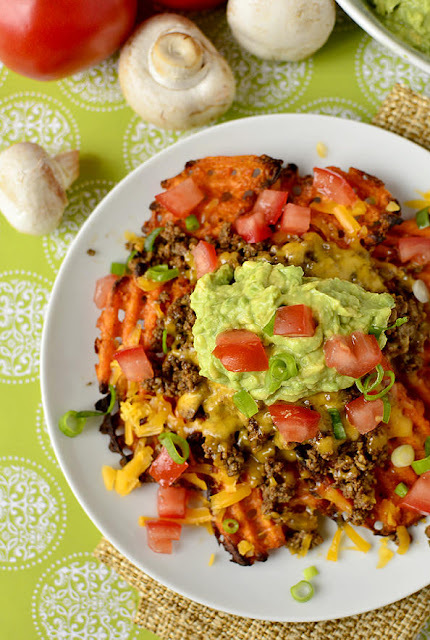 Taco meat and sweet potato fries is a brilliant idea. Favorite video: Stephen Colbert Salutes Boston. Love this man. Favorite look: 28 Toys From Your Childhood That Are Now Worth Bank. 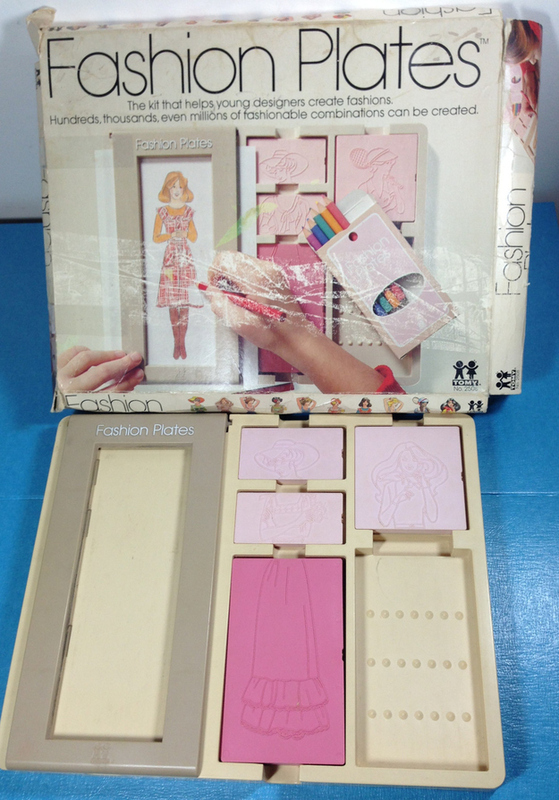 Fashion Plates. How could I forget about my beloved fashion plates is beyond me. These were my life. As was that Little Tykes Cozy Coupe. Really this whole list is an aggregate of my childhood. Thanks Mom for showering me with these gems. 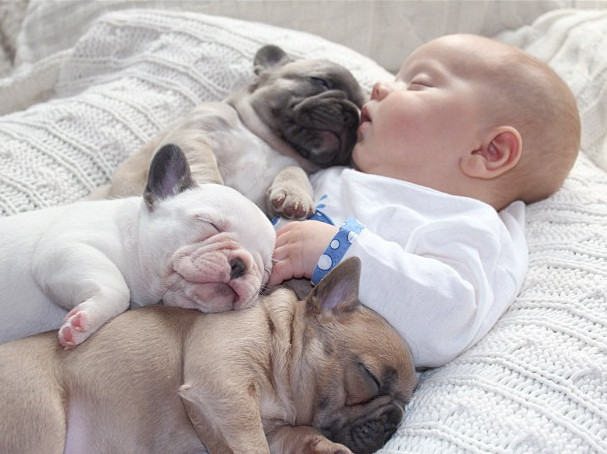 Favorite pup: Baby & Bulldogs. My heart has melted. Favorite bite Roasted Rataouille Toast. This is a very good idea. 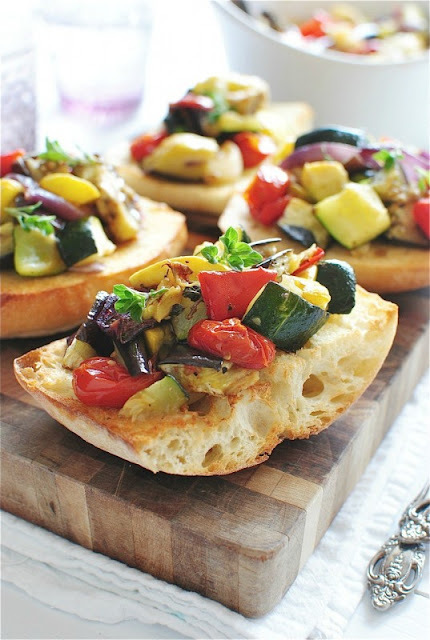 I've never seen ratatouille presented in such a delicious manner before, but I would love to order this as an appetizer. Favorite concept: Luchbox Icepacks. Saturate a sponge in water, lay flat in freezer, and throw in your lunchbox. As sponge melts, it absorbs the water, so you can throw it back in the freezer once you're home. Cheap and simple, people. 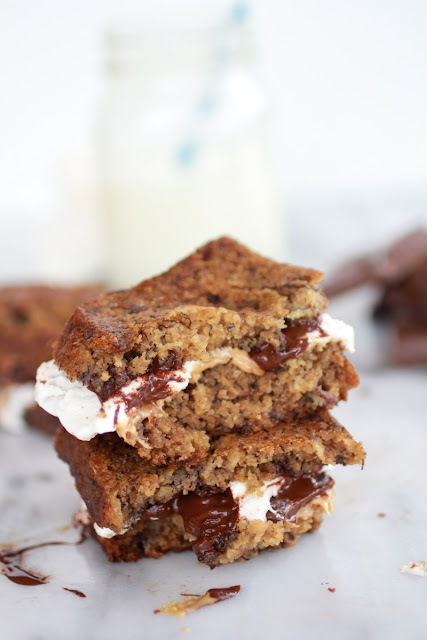 Favorite sweet: Grilled Banana Bread Peanut Butter S'mores. I know. I have an addiction problem within my addiction to sweets and that is to s'mores inspired dessert. Just look. I can't even handle how badly I want this. 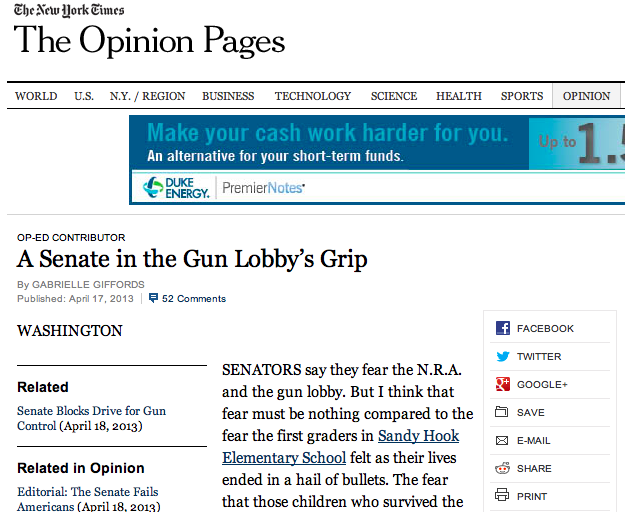 Favorite read: A Senate in the Gun Lobby's Grip by Gabby Giffords. Along with many, I hope that the Senate is ashamed of themselves. Despite your political views, this is an issue we must come together on. Here is an article written by a true hero that is a cogent and excellent piece. 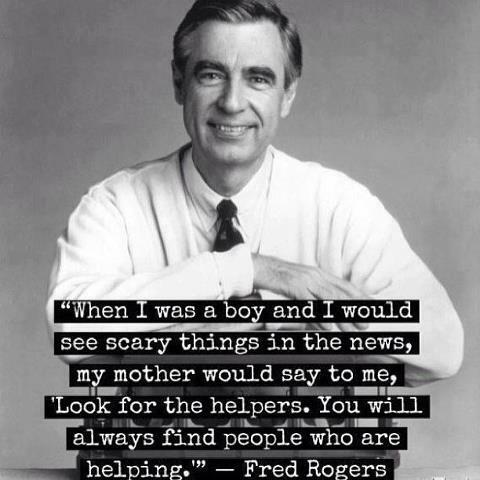 Favorite quote: There Are Always People Helping.